After living in Abu Dhabi in the United Arab Emirates for more then twenty years, I learned a lot about their culture and some of their cuisine. Their food is somehow similar to our Lebanese food, but they use more spices. 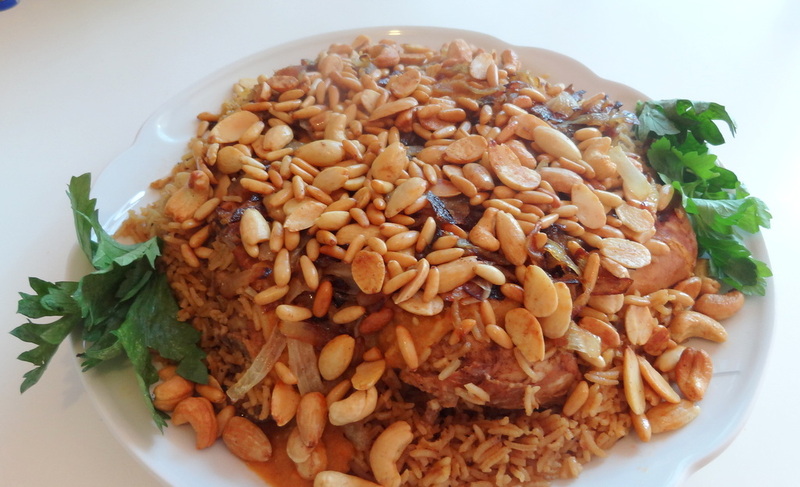 Kabsse is a very popular dish in Abu Dhabi, and it can be cooked with chicken, meat or even fish. 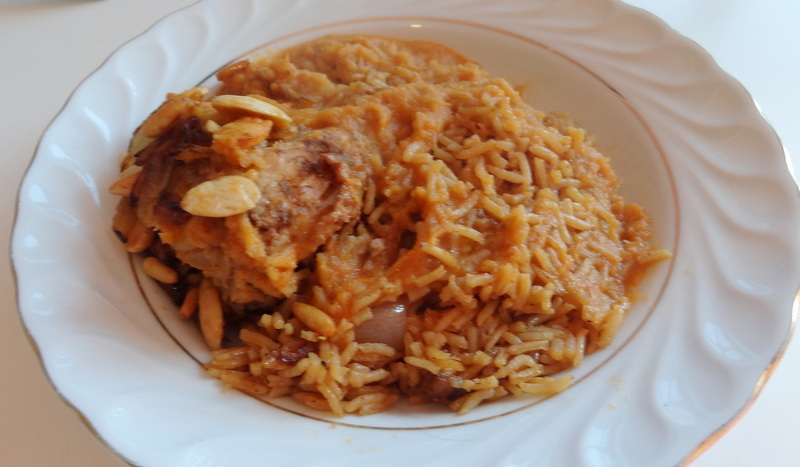 Today I prepared chicken with rice the Arabian Gulf way “Kabsse”. Serve the sauce with the rice and enjoy. “Shish” means skewer in Turkish and it has been incorporated in the Lebanese language. “Tawook” means chicken and other types of poultry in Turkish, and it has also been integrated in the Lebanese language. It can be found in take away shops as a sandwich, along with french fries, pickles and garlic dip (chicken’s best friend). Or, in a platter in the restaurants. 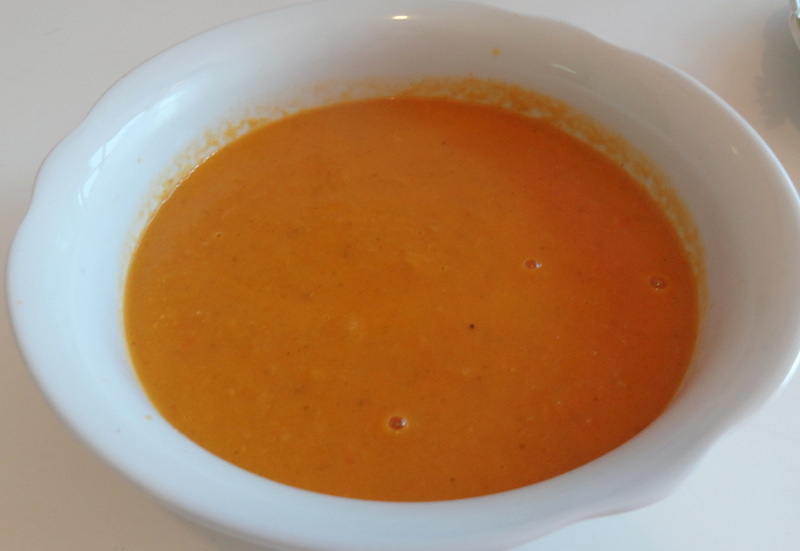 It can be bought raw and ready to go to the oven in all the supermarkets and butcheries, and in a wide variety of flavors: tomato, mayonnaise, garlic…etc. But usually I like to make my own mixture to soak the chicken. The first time I ate couscous was at a newly-wed couple’s house in Abu Dhabi, a Lebanese man married to an Algerian lady. 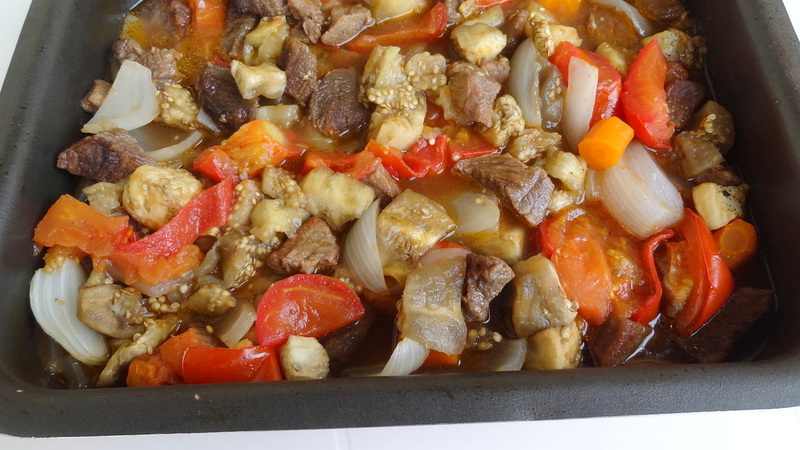 Of course, couscous is originally a Moroccan dish, but there are variations of it in different countries and she had prepared it the Algerian way. This was 25 years ago and at the time I though it must be very difficult to cook. 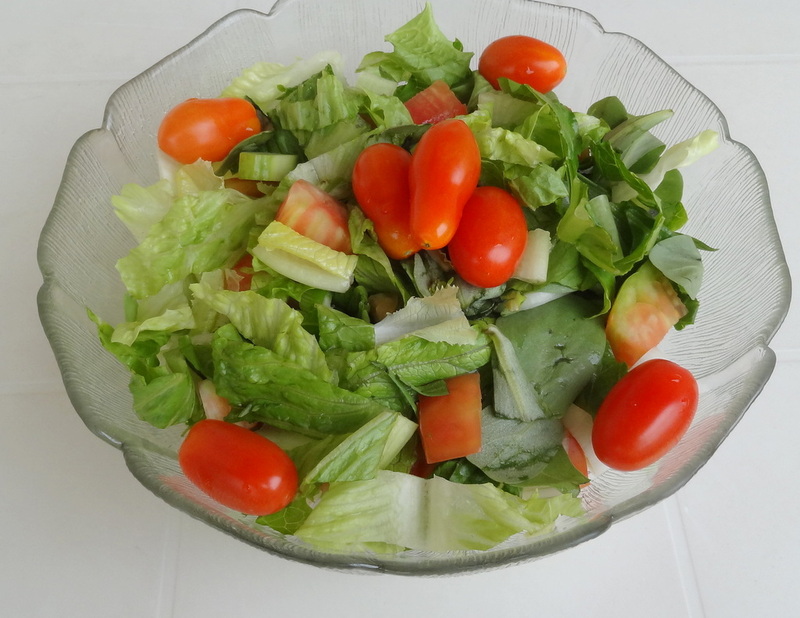 Since then, I’ve learned that there are many ways to prepare this plate; it is a very flexible recipe and the choice of vegetables is completely up to you. 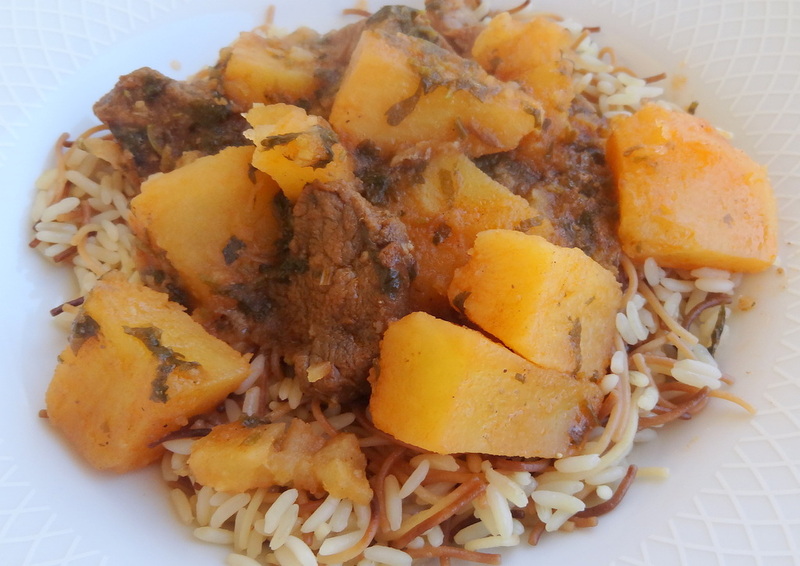 It can even be cooked with meat, chicken or seafood. 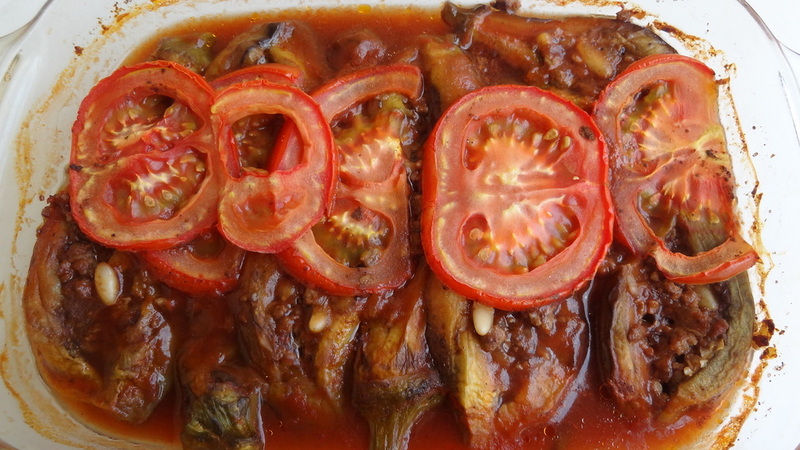 It is a very playful dish and I encourage you to add a bit of your own personality when cooking it. 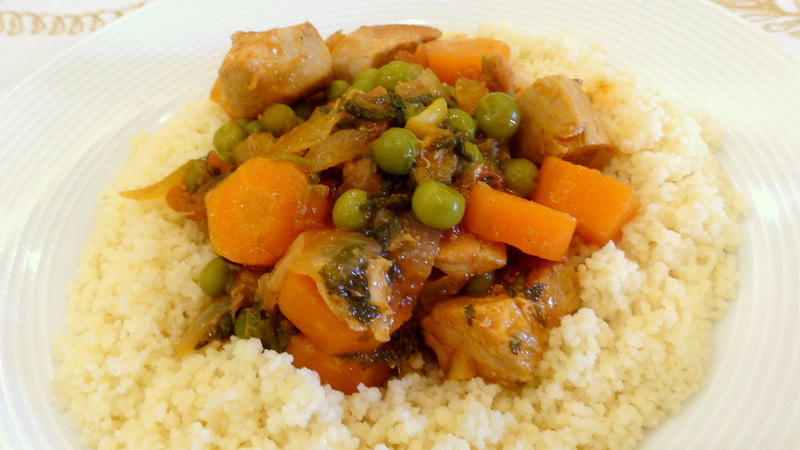 Today I prepared couscous with chicken, my way. Use this recipe as a guide to finding your own favorite way of making it.